A beautiful glass of Rosè at Hawkes Winery in Alexander Valley. After you arrive at your home away from home you will meet for a cocktail welcome and to discuss the plans for the week ahead. The cocktail welcome will be followed by a private farm to table feast prepared by a local chef, with sommelier-paired local wines to go with each course. If weather permits you will dine under the stars. Our vineyard lunches are one of the best parts of the tour according to many clients. The best of local cheeses, meats, fruit and vegetables make your meal not only delicious but also farm-to-table. There is nothing like a little bubbly to start your day and so you’ll start with the spectacular views at one of the top local sparkling wine producers. The rest of the morning will be spent at a Pinot Noir producing winery in the Russian River Valley. This is world-class Pinot country and your tasting at this exclusive tasting salon will certainly impress. From here you will have a very special treat as you dine among the vines with a vineyard picnic. There will be an assortment of locally procured cheeses, cured meats, olives, and salads – a picnic in true wine country style. Afterwards, you’ll be transported along the wine route to a small family owned and run winery producing some of the finest Pinot Noir and Chardonnay in California where you will finish out the day. Lila will return you to your lodging at 5pm and you will be able to relax or wander the area before you have dinner on your own. Our concierge team is happy to provide you with suggestions and reservations upon request. Beautiful vineyards of Sonoma County. It’s time to balance out the gourmet foods and wines with a little exercise that won’t seem too much like exercise. Our local bike guide will take you on a tour of Dry Creek Valley. Starting in the town of Healdsburg you will set off on a 12 to 22-mile loop – your choice of length. Our first winery stop will be an educational experience as you taste wines while you learn to make pizzas in their outdoor wood fired ovens. Then there will be time to spend relaxing in the gardens before hopping on the bikes again. Dry Creek Valley is home to some of the world’s best Zinfandels and our next stop will show you why. This small family run winery has been producing beautiful Zin for decades and their passion shows through in the wine and their warm hospitality. You’ll be back to Healdsburg by 4 where you will have free time to wander the streets or pop into a tasting room along the town square. Dinner is on your own and our concierge team is happy to give you suggestions and reservations upon request. Now that you are in Northern California it’s time to hug some trees (Redwoods, to be exact). Your guide will take you west to the lower Russian River Valley where you can walk among the Giant Redwoods. This National Park is home to some of the world’s largest trees – some of which are over 1000 years old. Here, a yoga instructor will lead you in an outdoor yoga class in the Redwoods, followed by a light gourmet picnic. You’ll then follow the Russian River further west to the quaint seaside town of Jenner by the Sea. 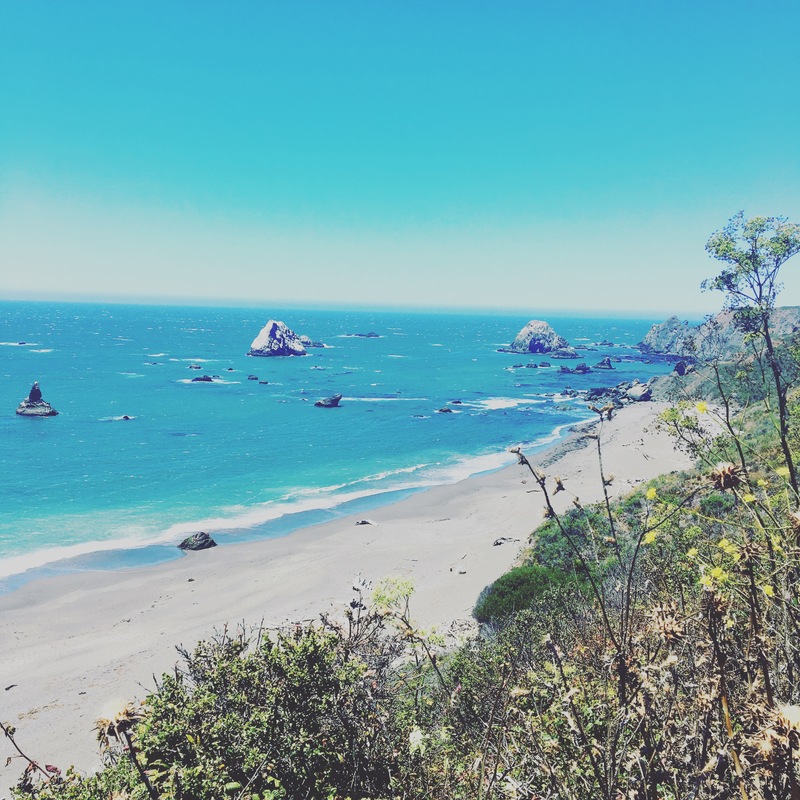 You’ll have the option of taking a peaceful kayak ride around the river mouth or taking a stroll along this beautiful stretch of the Sonoma Coast. You’ll be transported back to Healdsburg in the early evening and dinner will be on your own. Our concierge team is happy to give you suggestions and reservations upon request. Today is a day to sleep in, relax, and stay close by to explore the quaint town of Healdsburg -which some say is the heart of Sonoma County. A local guide will take you around town to sample the local delicacies and stop in some prime tasting rooms for a little VIP treatment. You’ll start with a bite at The Shed – a super hip restaurant-meets-general store that offers everything from the finest linens to ultra premium small batch bitters for your craft cocktails. After sampling your way around town you will have the rest of the day to roam as you like and choose your own spot for dinner. The local guide will be more than happy to give you some dinner suggestions. Today, it’s time to get back to the vineyards! You’ll head into Cabernet country going east to the warmer terrain of Alexander Valley. Lila will take you to a top Cabernet Sauvignon producer and you’ll get a peek into the winemaking facility with a library tasting in its cave. Following this, it’s time for another culinary adventure in the gardens of a renowned winery estate with a garden-to-table lunch in a spectacular setting overlooking rolling hills of vineyards. Afterwards, we will have our last wine tasting at the estate of a world-class Cabernet Sauvignon. At the end of the day, you’ll go back to Healdsburg for a private Finale Dinner prepared by a local chef. You will bid Sonoma County adieu in the same way that you were welcomed to Sonoma Wine Country – with a delicious glass of bubbles – to close out the week. Tour particulars can be custom-designed based on your specific desires, and transportation can be arranged to and from wherever you might like to travel next.